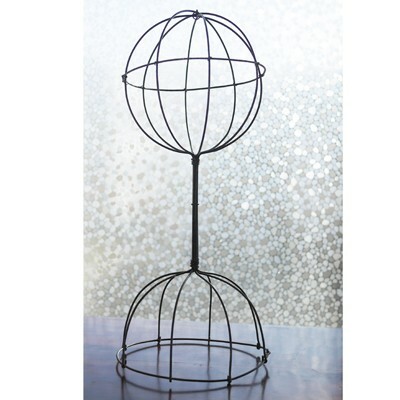 Iron wires are wrought into this vintage styled hat stand. Beautifully sculptural. Size: Approx 8 x 16".